I’ve always loved the thrill of competing in just about anything one can imagine, but above all, soccer has been my greatest and most long-lasting passion. My love for the beautiful game began when I was a child. I remember begging my mom to sign me up for AYSO after watching my older sister play. From the moment I first ran out on the pitch and kicked the ball, I knew that was where I belonged. I was a small, skinny late bloomer, and my parents were usually too busy to watch my games. But the exhilaration of playing was more than enough for me and I developed the skills to score goals and start juking players. It was awesome. 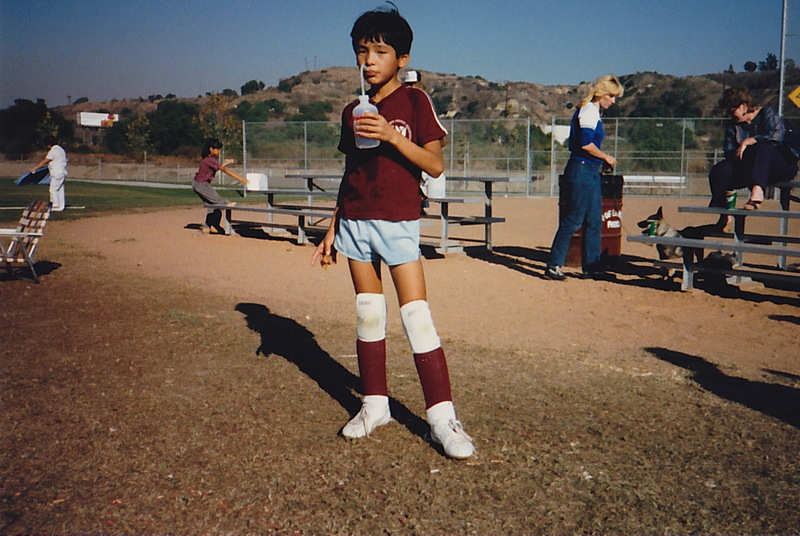 Playing on my first AYSO team. In high school, I was proud to be the youngest member of the varsity team, and though I later had to prioritize an educational path over a dubious sports career, I held on to my childhood dream of being the best player in the game for as long as I could. After college, I was offered a good job in the high-tech industry and moved up to the San Francisco Bay Area. I progressed in my career and enjoyed the perks of Silicon Valley while traveling all over the world. And yet, I had a nagging sensation that something was missing in my life, as if I wasn’t on the right path. 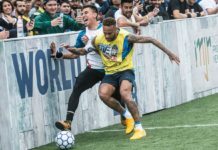 In 2003, I returned to L.A. and soon thereafter had a vision to transform old, unusable fields into sleek playing grounds for the many soccer players who had little to no access to playing space. I met with city after city in the greater Los Angeles area and presented a business plan that was 100% privately funded and would provide a much needed public service. I’d never heard so many “no’s” and “not interested” responses in my life. Needless to say, I was disappointed and discouraged by the political merry-go-round and irrationality — one would have thought I was asking them for money. 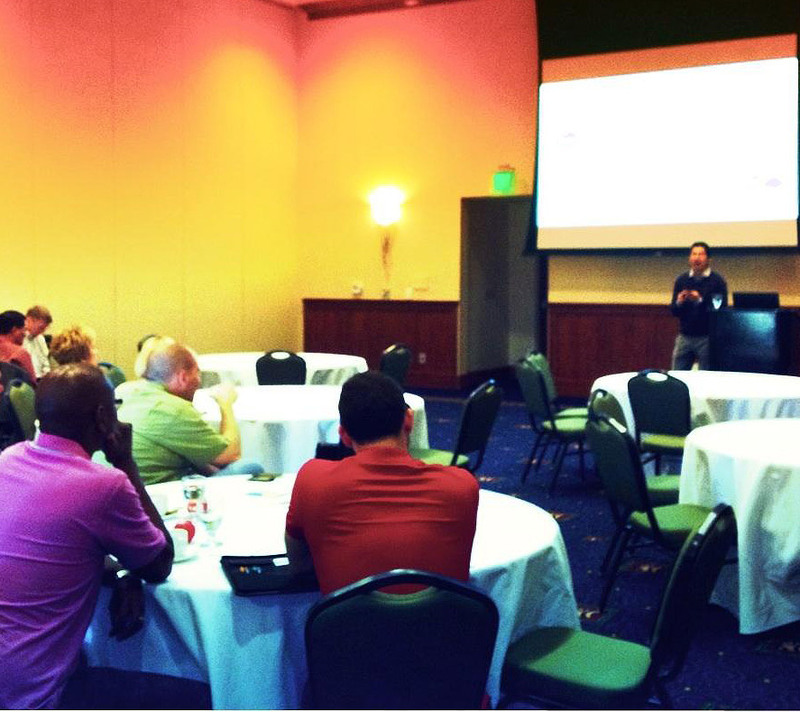 Giving a lecture on enterprise applications and network security at a conference in New York. Then in 2012, I stumbled into an unexpected business venture that took on a life of its own. A friend of mine had rented a warehouse space and commissioned graffiti artists to create immaculate floor-to-ceiling murals on its walls. What initially began as helping out a buddy soon turned into further assistance and then eventual role as owner of the space. As is often the case, my mind turned to soccer. One day, while surveying the warehouse, it hit me — this could be a sick futsal court! Thus was born UrbanFutsal LA. 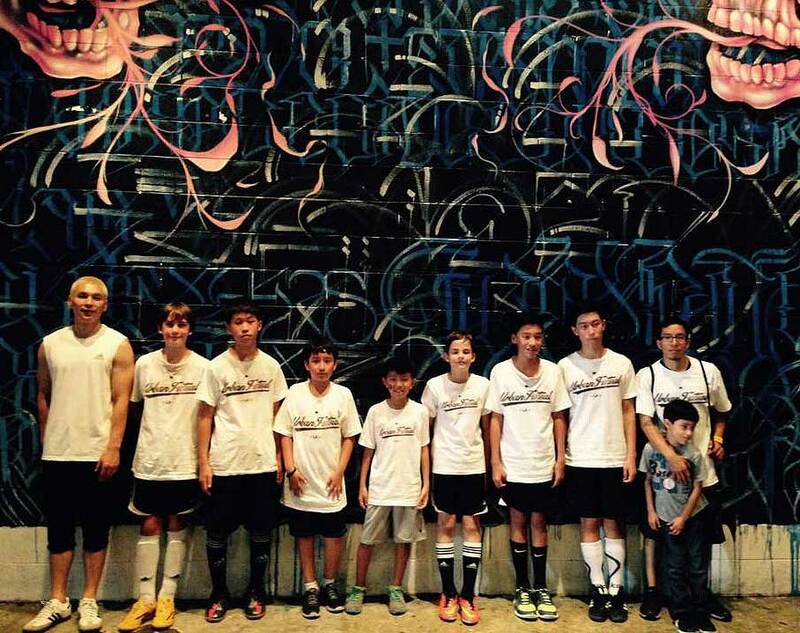 At UrbanFutsal LA, I was once again immersed in the world of soccer. As the owner of L.A.’s coolest futsal facility, I started to meet and host a lot of interesting street footballers and freestylers. I watched hundreds (thousands?) 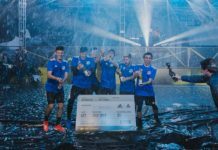 of YouTube and Instagram videos and was impressed by the style and spirit of these players. Hungry for more, I searched high and low for sites dedicated to street football and freestyle, only to realize that one didn’t exist. How come no one was writing about all of the different personalities, events, and inside stories that I found so compelling? Players and fans should have a destination for all this content in one place. It became clear that a site like this required a person who was obsessed with the game, had access to the people and events, and the resources to make it happen. I realized that person was me. Posing (with blonde hair) alongside the “house team” at our youth tournament. 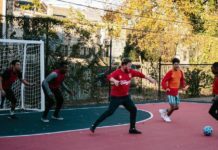 Now, I’ve expanded to just a few writers and a dog, and our small crew hopes to bring you inspired, entertaining content from the world of street football, freestyle, and futsal, gathered and carefully curated in one place. Welcome to Urban Pitch, the street voice of the beautiful game. 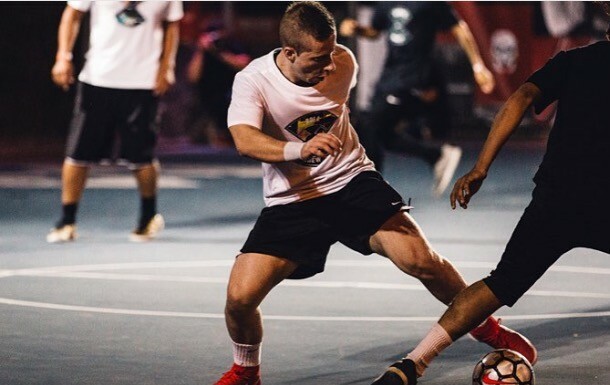 Urban Spotlight: Claudinho Might Be the Best Pound-for-Pound Street Baller in L.A.